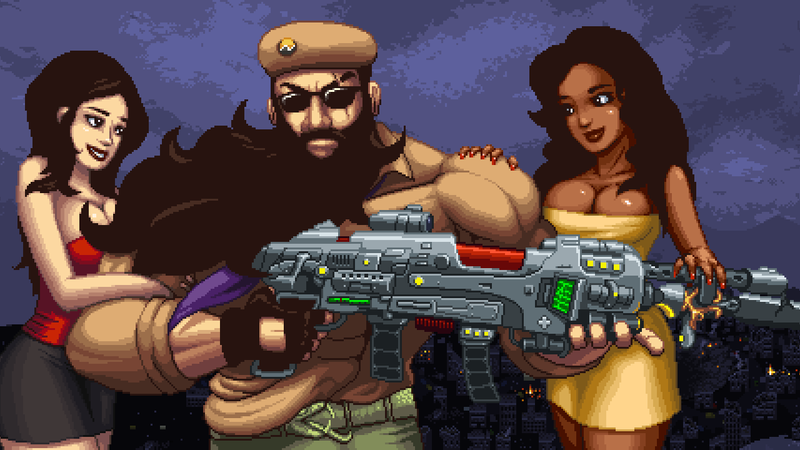 Here’s some more awesome wallpaper featuring the man himself with a couple of chicks, rendered in gorgeous 16 bit-style pixel art. Take a look. This entry was posted on Friday, September 10th, 2010 at 7:00 am	and is filed under Main News. Hey, is this wallpaper available at 1920×1200 or 1920×1080? Thanks! Can’t wait to play this game.